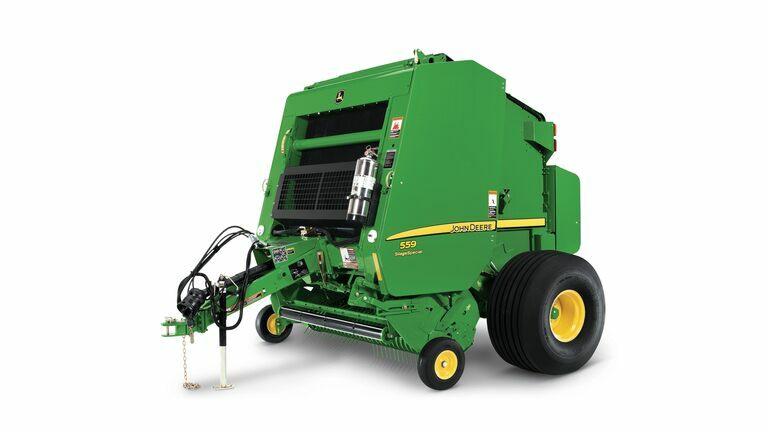 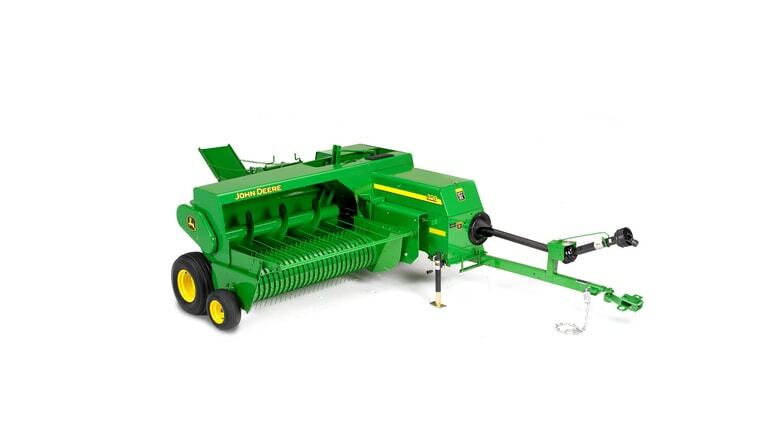 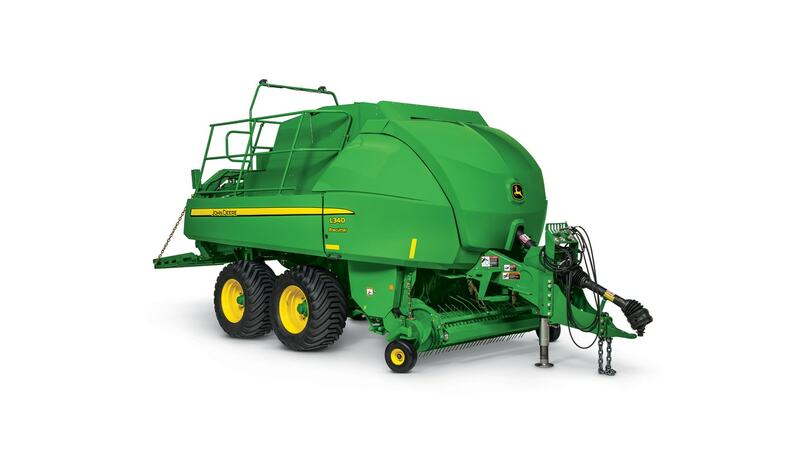 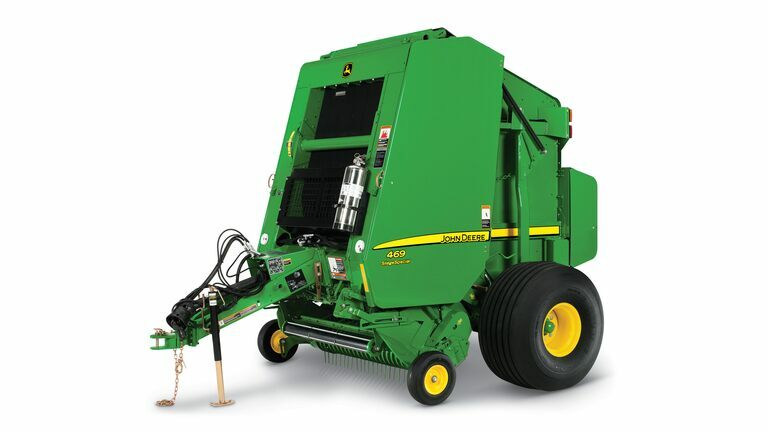 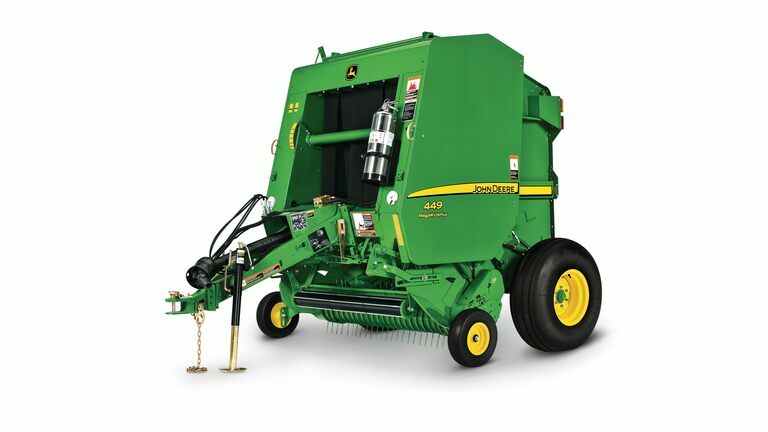 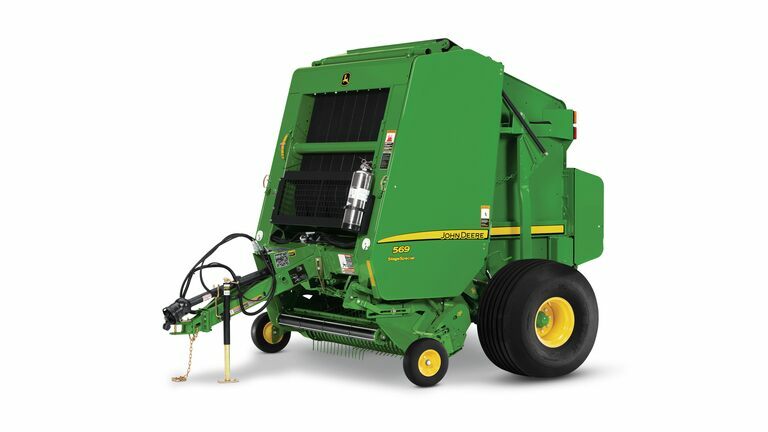 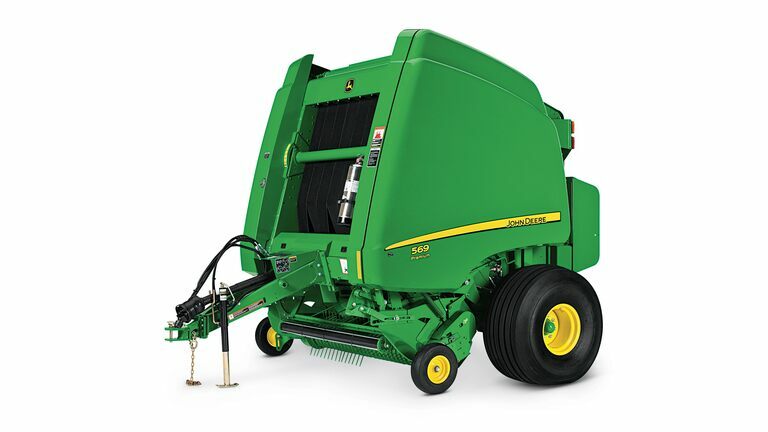 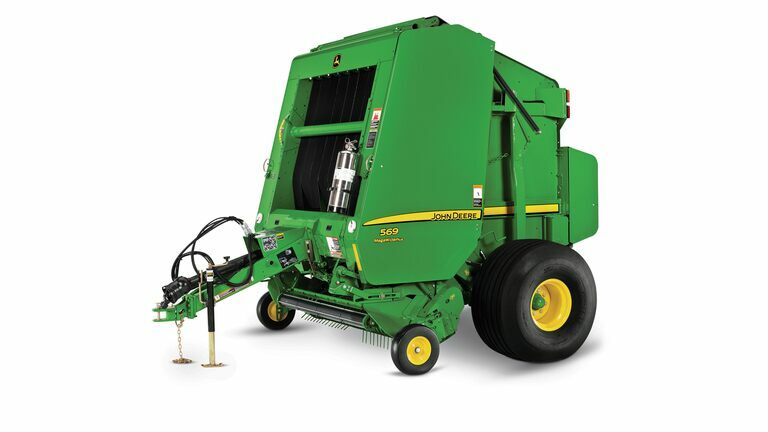 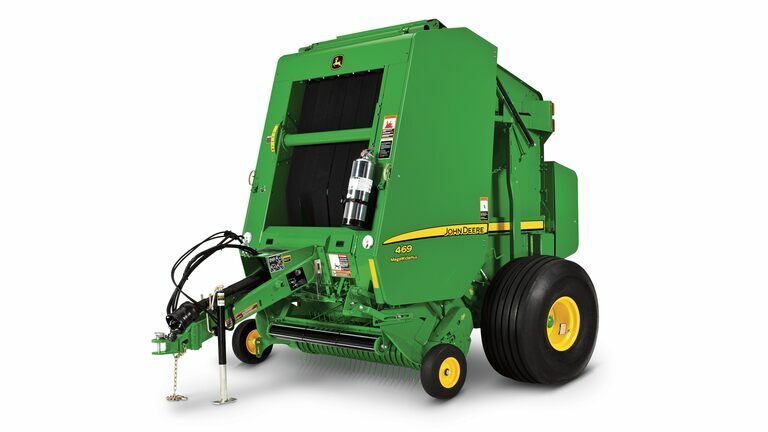 Exclusive John Deere-designed double tie knotter system maintains bale integrity with high density bales. 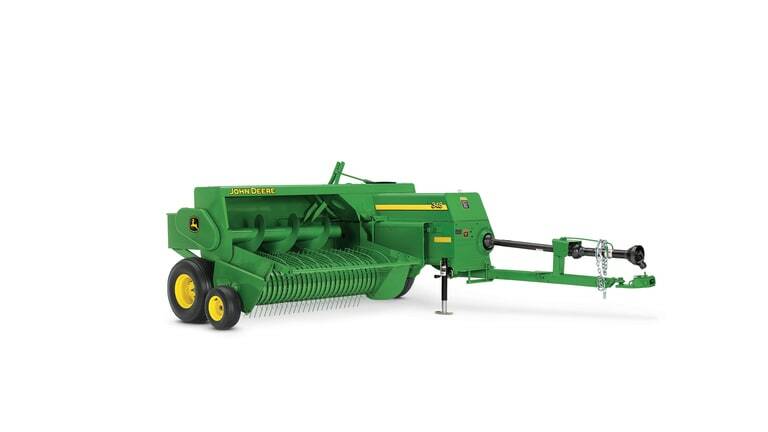 High capacity inline rotor design has fewer parts to maintain and efficiently moves the crop into the precompression chamber. 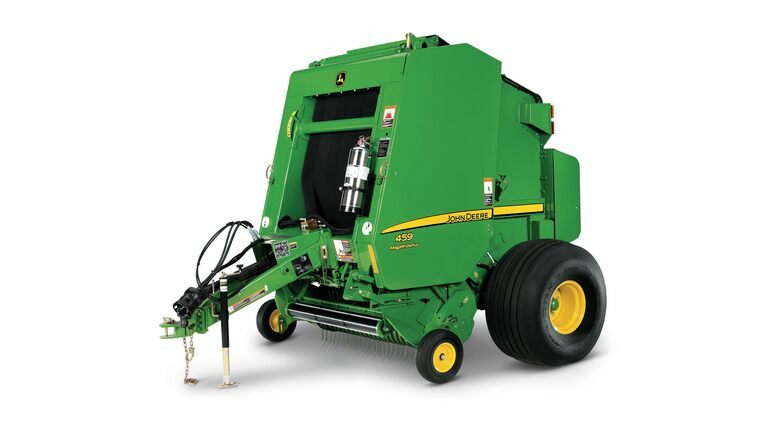 Optional 23-knife precutter with hydraulic knife selection and protection. 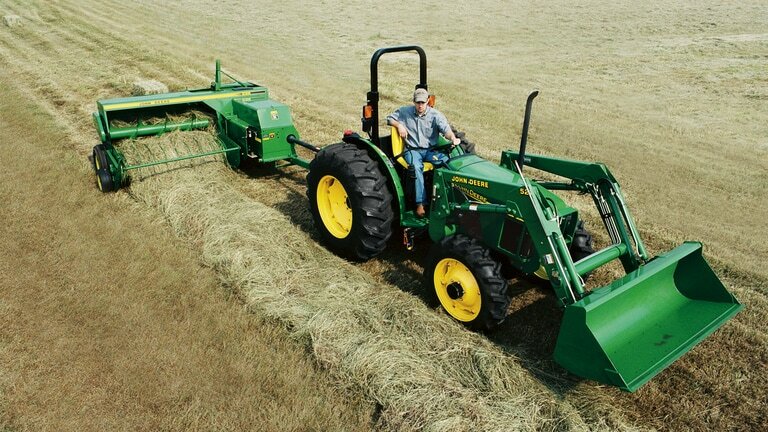 90-inch pickup width for better crop retrieval.